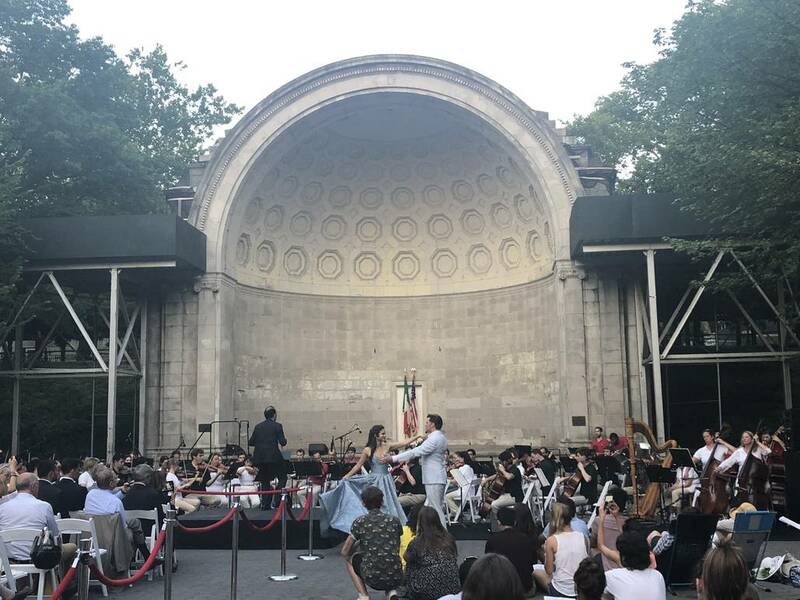 From Verdi's Rigoletto to La Traviata, from Rossini's Il Barbiere di Siviglia to Puccini's Madama Butterfly and La Bohème: Opera Italiana Is in the Air came back on July 2 in Central Park. The event, that took place once again in the wonderful setting of Naumburg Bandshell, was produced by Dani Bedoni (also Master of Ceremony) and was born from the initiative and coordination of the President and Artistic Director Alvise Casellati, who is considered one of the emerging talents of the last years. After a Master's Degree in Law at Columbia University, Casellati was already in charge of the legal department of an important real estate fund, but he also had a diploma in violin obtained in 1994 at the Conservatory of Padua. In 2007 he ended up in hospital because of a problem that the doctors failed to explain, holding him for six months in a state of great anxiety. It was then that he realized that if you have a dream in life, you do not have to wait for the right time to make it happen. Therefore, at the age of 34 he made a radical change, enrolling in the evening courses of the Juilliard School of Music. 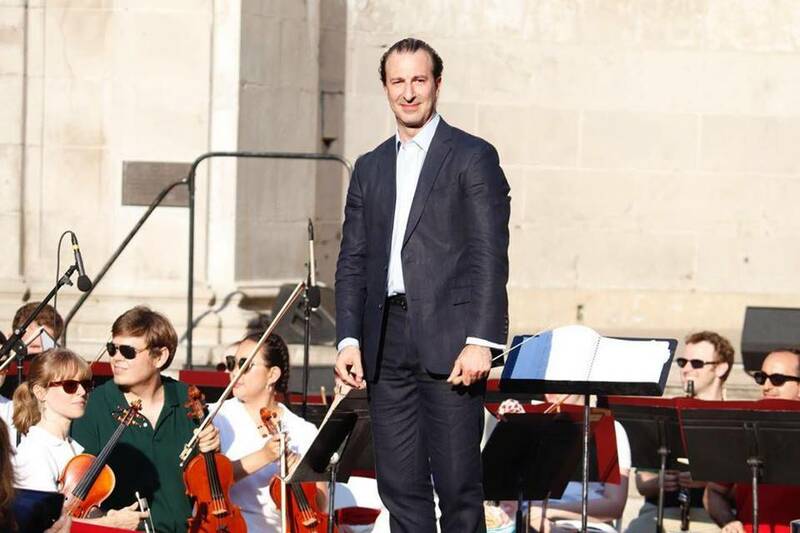 In March 2011 he directed his first Italian concert at La Fenice in Venice on the occasion of the 150th anniversary of the Unification of Italy and thanks to his great achievements he decided to leave New York and the legal career returning to Italy. 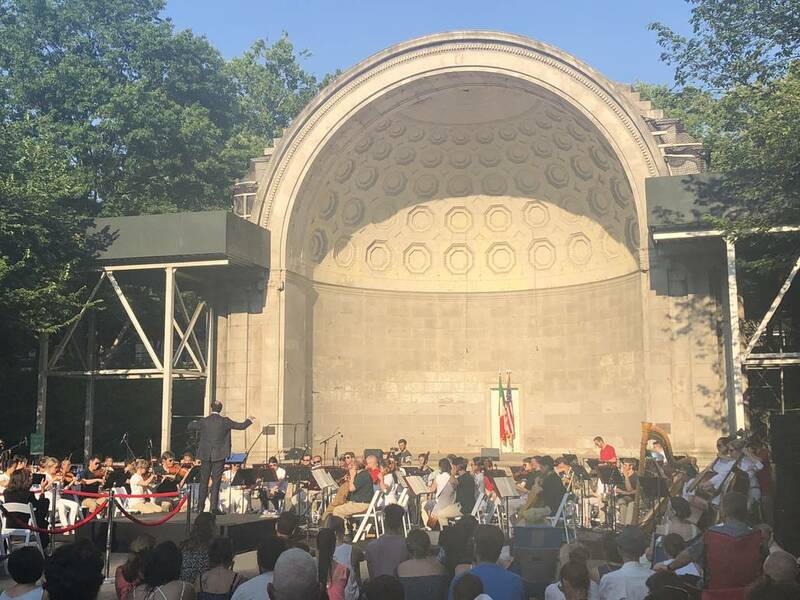 This year, Opera Italiana Is in the Air moved two steps towards a less traditional audience, presenting The Beginning Before the End by Paulina Castro, a 13-year-old composer who was selected through the Very Young Composer's Program of the New York Philharmonic. “I thought about putting in soul my heritage, bringing some of my history. With a lot of different instructors it came to be what you have just heard and I am really glad it makes other people happy because it’s all I want to do with my music,” said Castro about her composition. The second piece was Oceanic Verses by Paola Prestini, one of the leading contemporary Italian musical voices, co-founder and artistic director of the National Sawdust of Brooklyn. 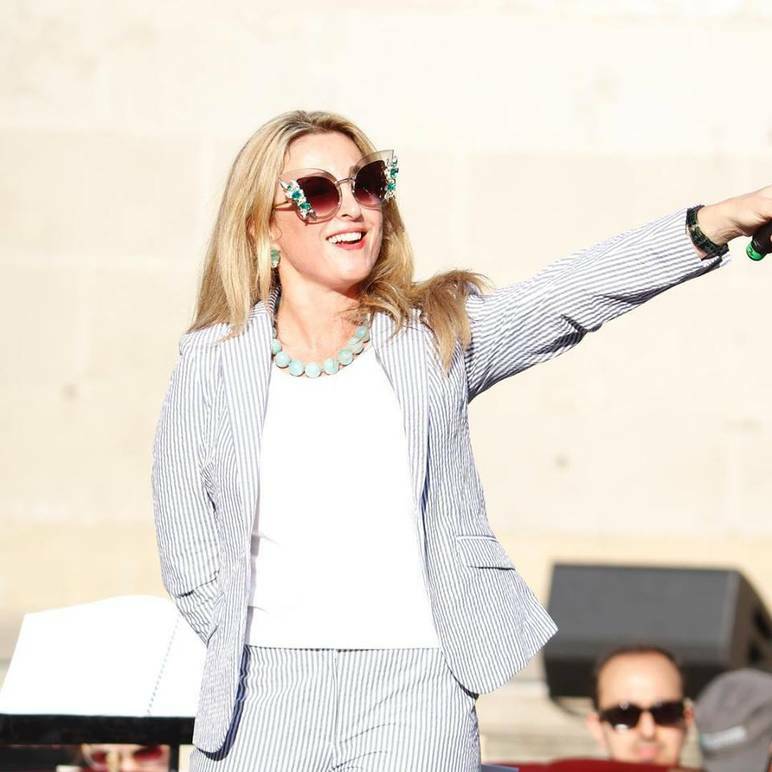 The talented young lady, who belongs to the Top 35 Female Composers in Classical Music, went also to Venuezuela to teach kids how to compose music in the Very Young Composer's Program. Her piece was written for the amazing vocalist Helga Davis, who sang it with the soprano Jennifer Zetlan. “I want to thank Alvise and Dani for the opportunity and of course to the musicians who play so beautifully”, said Prestini. 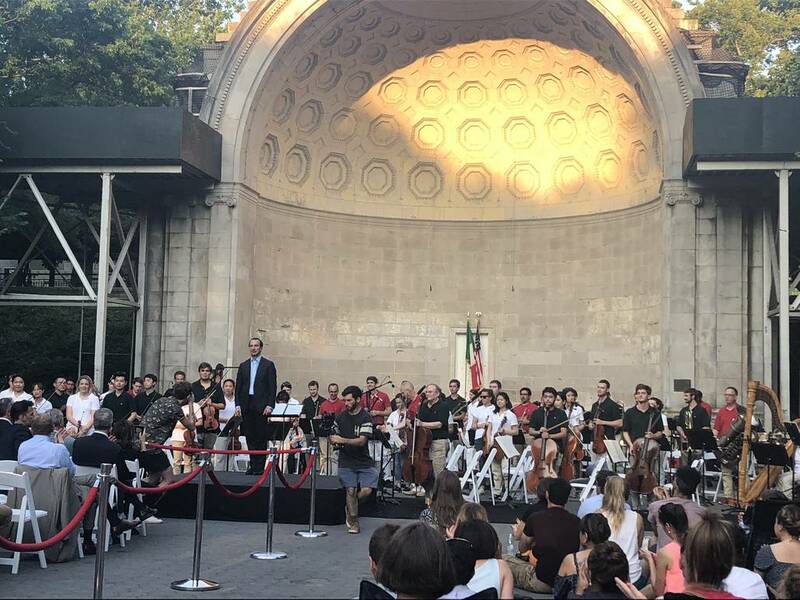 The orchestra was composed of members of the Metropolitan Opera, as well as extraordinary students from New York Symphony, New England Conservatory, NYU, New World Symphony, Juilliard and Manhattan School of Music. The singers were the soprano Larisa Martinez, the tenor Cody Austin and the baritone David Pershall. 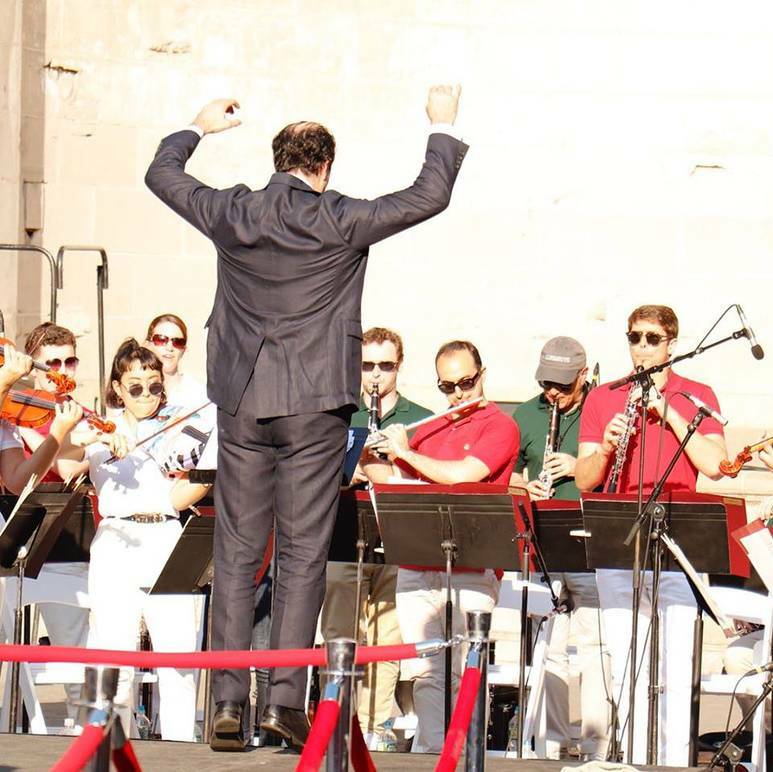 The event was promoted and supported by the Consulate General of Italy. Besides the Consul General Francesco Genuardi, among the audience there were Ambassador of Italy to the US Armando Varricchio, and President of the Italian Senate Maria Elisabetta Alberti Casellati, Alvise’s mother.